Ready to get back into shape after the holidays? The Shape Up Montana program is a team wellness program where teams, made up of friends, family members, coworkers, etc. can compete against other teams across the state of Montana. In the spirit of the Big Sky State Games, the top three teams will receive medals and special prizes. Awards will be based on the teams who average the most miles logged per person over the three-month program, and teams with the highest percentage of weight lost. Other prizes will be awarded throughout the competition for the teams with the most participation, weekly challenge participation, and monthly reporting. Everyone is a winner by taking part in the program and being more active. 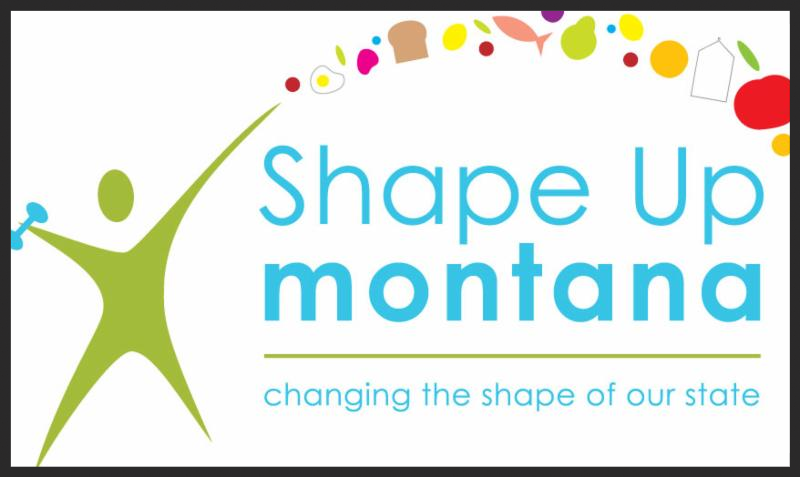 The Shape Up Montana program is based around accumulated activity with a healthy weight option. This team wellness program involves teams of 4-10 that follow weekly tips and track physical activity minutes and healthy weight over 12 weeks. Throughout the three months you will have opportunities to win monthly incentive prizes, just for tracking! For only $16 for three months, Shape Up Montana is simply the best and most affordable way to achieve your health and fitness goals. The program gives you access to a handful of useful features. Fitness Videos from MT Experts, Motivation Weekly Tips, Physical Activity Charts, Fun Weekly Challenges, Virtual Walk/Run, Free Health Club Week, Free T-shirt, and Incentive Prizes!! Learn more and sign your team up here. Posted in Active Living, Clinical & Community Preventive Services, Event, Healthy Eating and tagged Active, health, Healthy Eating, Healthy Living, montana, nutrition.